One gardener’s weedy lawn is another's wildflower meadow, so decide if you really want to combat these plants. On weedy lawns, selective lawn weedkillers will usually control the weeds, but leave the grass unharmed. Although the term ‘weed’ is subjective, it is usually applied to invasive plants that compete with the grass for space to grow – clover and dandelions, coarse-leaved grasses, daisies and buttercups are just some examples. Early identification and prompt removal can alleviate large-scale problems. This can be as simple as following a yearly lawn maintenance plan. The season starts with spring and summer care but autumn care is particularly important. Lawn weeds establish because they survive close, regular mowing. They spread by seed or creeping stems, and are usually problematic where the grass is sparse. 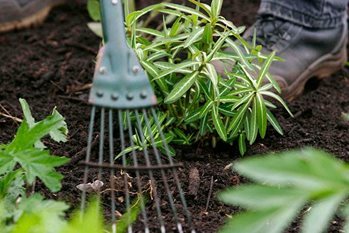 First, consider whether you wish to control the weeds using non-chemical means, such as digging out. Where these methods are not feasible, chemical controls may be needed. Choose a weedkiller that is most appropriate for that purpose by reading the label carefully before buying or using. Lawn weedkillers may be needed where many weeds have established. When buying a lawn weedkiller, check the label to find out if it will work on the weeds in your turf. New lawns are often severely damaged by weedkillers if applied to lawns within six months of sowing or turf-laying. However, products containing fluroxypyr (Scotts Weedol Lawn Weedkiller) as one of their ingredients are claimed to be safe to use if applied after two months of sowing or laying turf. The new turf must be growing well. Inclusion of a weedkiller product does not indicate a recommendation or endorsement by the RHS. It is a list of products currently available to the home gardener. What can you do with lawn clippings after applying a weedkiller?